Just thought I’d sneak in one more Thanksgiving recipe before the big day! 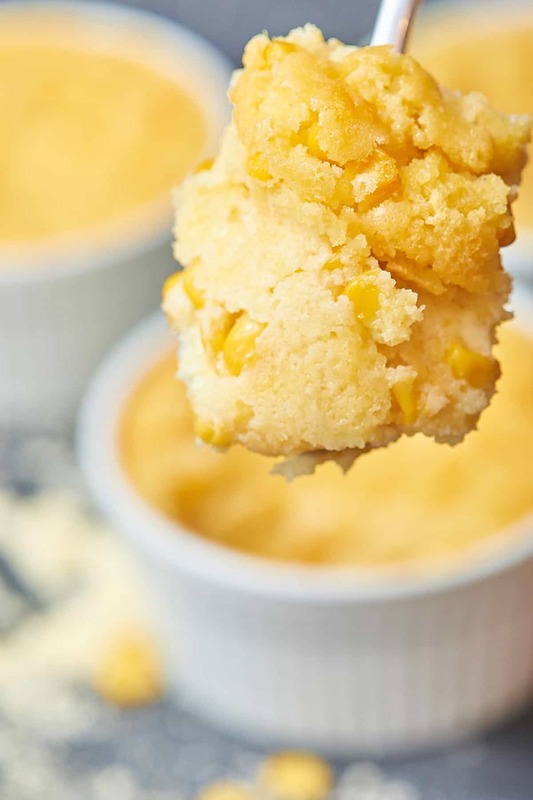 PSST – A lot of you have been asking for a slow cooker version –> check it out: Slow Cooker Corn Pudding! Looking for more? Check out all our Thanksgiving recipes! It’s so funny to me how some recipes are just for certain events. Really, I could make this corn casserole any time and it’d be delicious, but it tastes like Thanksgiving, because that’s the only time I ever eat it. It just wouldn’t feel right eating this any other day of the year. Except that’s kind of a lie, because we also have this for Christmas, too. This recipe is just for Thanksgiving…and Christmas. Got it? If you’ve never had corn casserole, you’ve seriously been missing out on so much carby goodness. We all know how much I love my carbs. Slow Cooker Mac and Cheese = Carbs. Crockpot Mashed Potatoes = Carbs. Carbs. I love you. How do you make baked corn? You guys. It’s too easy. Best, easiest holiday side dish ever? Ummmm YES. What is a substitute for cream style corn? I’d really recommend making the recipe as is, with canned creamy style corn, that being said, has anyone ever made it from scratch before and used it in this creamy corn casserole recipe? I’d love to hear about it! How long does it take to bake corn casserole? Depends on your serving dish! For ramekins, it takes about 40 minutes. For a 9×13” glass baking dish, it’ll bake for about 20-30 minutes. Can you reheat corn casserole? Absolutely! Although it’s best fresh, you can definitely reheat leftovers in the microwave. How do you make corn pudding? It’s just as easy as this creamy corn casserole, but in my recipe I make it in the crockpot! 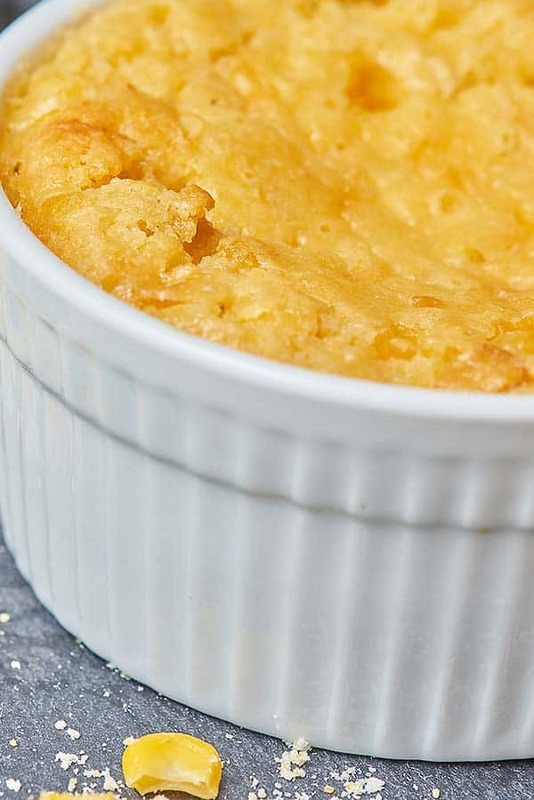 If you’re looking for a great recipe, check out my Slow Cooker Corn Pudding! I’m keeping this short and sweet today, just like the ingredient list in this corn casserole recipe, so enjoy! Have you ever had corn casserole? 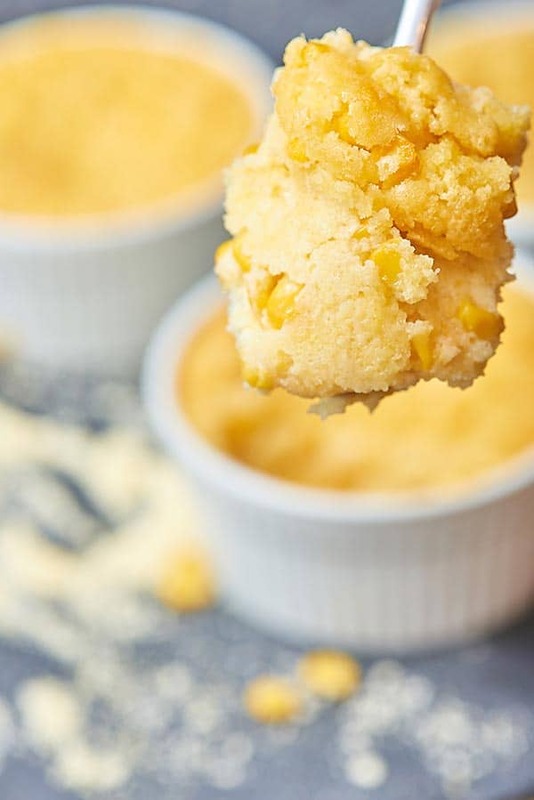 To me, it tastes like a really creamy cornbread that you eat with a spoon! Mmmm 🙂 Show me the yummy! 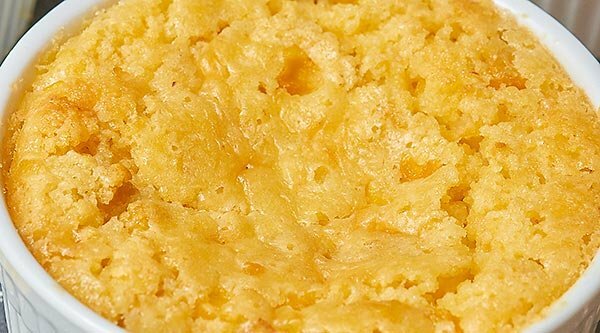 PSST – A lot of you have been asking for a slow cooker version –> check it out: Slow Cooker Corn Pudding! Only 7 ingredients and 5 minutes needed to make the BEST Creamy Corn Casserole. It's fluffy, it's creamy, and it will definitely be the star of all your holiday meals! Mix everything from corn - eggs together. 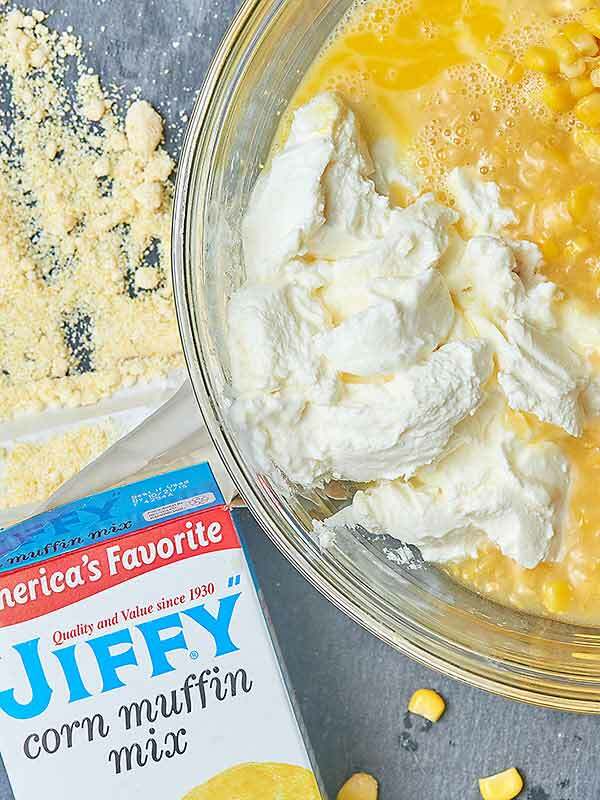 Add 1 box Jiffy cornbread mix and stir . Bake in a lightly greased 9 x 13 pan for 20-35 mins or until the mixture has set. It may still be slightly "jiggly", but that's ok! For the photos, I used 4 individual sized ramekins. If you'd rather do that, you'll just need to up the baking time to about 40 - 45 minutes. PSST - A lot of you have been asking for a slow cooker version --> check it out: Slow Cooker Corn Pudding! Hi Claudia! Sorry for the delayed response! I’ve never seen the 15 oz box before…but thanks for letting me know! You should use the 8.5 oz box 🙂 I hope it turned out great for you…you’ll have to let me know! Happy Thanksgiving! can I use just whole corn witout cream corn? 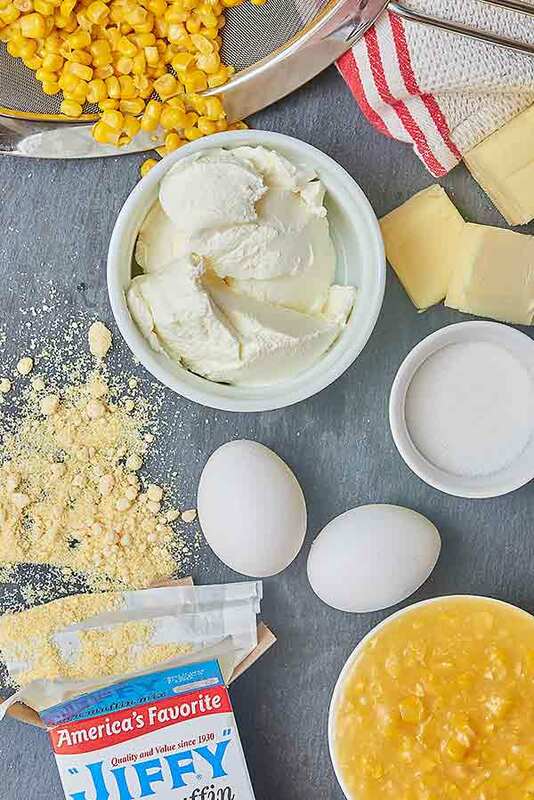 Can I mix ahead and bake the next day? Hi Karen! That should be fine. 🙂 If you refrigerate it overnight, I’d let it come to room temperature before baking, OR you may need to adjust the cook time. Happy Thanksgiving! Cancel that I missed it! Oh my gosh, this was so good. I wanted to make something different for Thanksgiving for my family who doesn’t like change very well. After some reluctance, they tried it to be polite. Some asked for the recipe, and everyone said they loved it. Thank you! I believe you would up the cooking time for a pan, not ramekins, wouldn’t you? Your last comment indicates otherwise. I just made this using 6 ramekins. Baked at 350 for 45 minutes ,checking every 5 since I hadn’t tried doing an individual corn casserole . I sprinkled shredded cheddar on top that melted while they cooled. Using a small spatula I loosened the sides. Flavor and texture was perfect! Would be cool to pop them over onto a plate then top with cheese. What size ramekins would you recommend? Hi Rob! Any size will work. Ours in the photo – the inside measures at 4 inches wide and hold 10 oz of liquid. You can find them here. I hope that helps! How about adding crumbled bacon? I’ve never had corn casserole, but there’s a first time for everything right? 😉 I can’t wait to make your cornbread for Thanksgiving!! You MUST try the casserole at some point. It’s a favorite around here 🙂 Thanks Marina! So glad you snuck this one in, added to my must-make list! Would love to try this out but was wondering if you have any suggestions for Jiffy cornbread mix substitute, I’m in England and never seen it anywhere. Thank you. Hi Fen! Can you find another brand of cornbread mix? It doesn’t have to be Jiffy. It just needs to be an 8.5 oz box 🙂 Let me know! I think Cornbread mix is a US thing….none to be found in Canada either. But there recipes online for a homemade equivalent! So interesting! Thanks for letting us know, Kirsten! I love your videos! They always make me want to cook up whatever your making! And this corn casserole looks perfect for Thanksgiving! Easy and delicious! Awww thanks Mary Ann! So glad you like the videos!! If wanting to make this ahead of time because of lack of oven space on Thanksgiving, can it be baked, refrigerated and microwaved the day of? Hahaha right?! Glad you’re with me! How many serving does this recipe yield in a casserole dish? I want to try this, but I need to make for at least 15. I just don’t want to make too much if I double it and have more leftovers than necessary. Hi Jane! You drain the sweet corn, but not the cream style corn 🙂 It’s listed in the recipe box as well! I hope that helps! How much do I fill the ramekins? I have some pretty pumpkin ramekins that I think will look so pretty with this corn pudding on Thanksgiving, but wonder if I should fill them half way or more, knowing that the pudding will raise some during baking. Hi Betty! You’re so welcome and thank YOU! I’d fill them 3/4 of the way up 🙂 Enjoy! Love the idea of pumpkin ramekins!! I’d like to make this ahead of time (at home) to take to a relative’s house on Thanksgiving. Can it be re-heated? Hi Lois! Definitely! It won’t be quite as good as fresh, but will still be completely fine! I will be doubling the recipe, should I increase the cook time? Hi Jena! Are you still making it in a 9×13 baking pan? If so, you’ll probably need an additional 10-20 minutes! Hi Jan! It’s on my list of things to adapt for the crockpot, but I haven’t gotten around to it yet! I’m guessing it would be fine, maybe high heat for 2 hours?? Hi Patti! Not sure what size pan you’re using, but I’d still check it at 30/35 minutes and go from there…maybe an additional 10. I hope that helps! 🙂 The top shouldn’t look glossy, but it’s ok if it’s a little jiggly! I’ve seen a similar recipe, everything is the same, but NO eggs are used. I’m confused as to which one I should make! 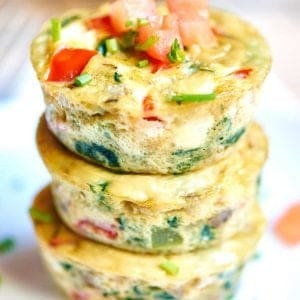 For individual portions, could you bake this in a (dark) muffin pan? If so, do you think the 40-45 minutes baking time would be sufficient? Hi Lisa! 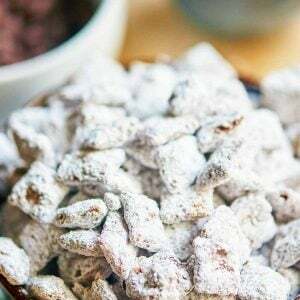 I think you could definitely bake this in a muffin pan 🙂 I’d actually check them at 15 minutes and go from there… it shouldn’t taken more than 30 minutes. I hope you enjoy! Happy *almost* Thanksgiving!! Why are you increasing baking time for individual ramekins? Can I put this together the night before and pop in the oven the next day to cook? I add one additional can cream corn and 1 cup oyster crackers. Baking time was increased by 20 minutes. Tasty! Have you ever put this in the crockpot? I am short oven space!! If so, any ideas how long? Hi Michelle! It’s on my list of things to adapt for the crockpot, but I haven’t gotten around to it yet! I’m guessing it would be fine, maybe high heat for 2 hours?? I hope that helps!! 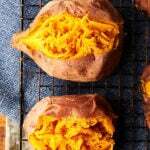 how many people does this recipe feed (how many servings)? I am hosting 18 people tomorrow and wonder if this is enough. Looks delish! Thanks for the recipe! Hi Lily! I’d double the recipe for 18 people 🙂 Thank you so much! I hope everyone enjoys!! Would you cook it for the same amount of time if you doubled the recipe? Hi Lauren! It’ll probably need an additional 10-20 minutes, but I’d still check it at 30 minutes. Enjoy!! Hello, I am getting ready to make this November 23, 2016, for our Thanksgiving dinner tomorrow. Can I double up on the ingredients? If yes, do I use four eggs or is it OK to use only three eggs? If I double up on the ingredients will this feed 8 to 10 people? I have “double” of all ingredients. How many people does YOUR recipe serve? Thank you! Please disregard my question above. I figured it out. I should have read all the other comments and/or questions herewith. Thank you. Trying this for the first time, hoping for a success! May add some shredded cheddar to it for an added kick! Hope it works! Thanks for the recipe!! If I double this recipe, will it still fit in a 9×13 or should I up it to an 11×14? Cooking time change if doubled? It should be just fine in the 9×13 🙂 It might just take a few minutes longer to cook! Happy Thanksgiving! Stupid question…will this rise much? I’m wondering if I can fit a doubled batch in ONE 9×13 dish?? Hi Bonnie! Not stupid at all 🙂 It should be just fine in a 9×13! I sautéed some onion and added that. I’m curious if you have tried this with half cream cheese and half sour cream?